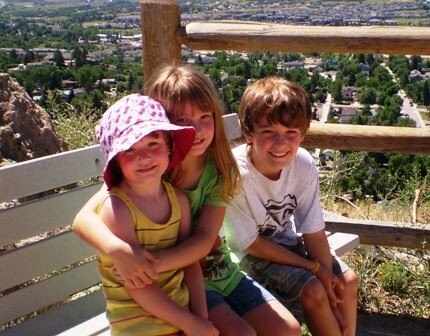 Every summer, the sprouts and I hike a local rock. It’s an annual tradition that has become more than just a little something we do. It is the first hike we take every summer and the last one we do before we leave. It is a really easy climb that quickly takes us high enough to see the front range including all the way down to Pike’s Peak. 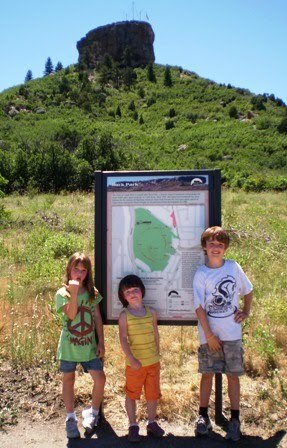 We started to do this hike when Little Sprout was less than a year old. She rode in my hiking backpack and I struggled with the weight of her while trying to help navigate the path of the other two. 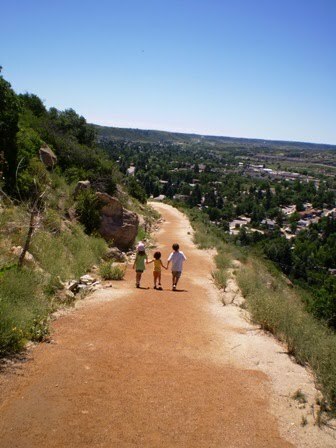 There are a couple steep parts (especially for small legs) but overall it is a really friendly family climb. Little Sprout made it the entire way this time, even joking about the tantrum she threw last year. When she was three, she screamed the entire way down. This year, I had to tell her to stop running. There is definitely no hiking backpack for her anymore! What used to be the pinnacle of our hiking adventures is truly just a warm-up now. It helps to get us acclimated to the altitude, and it is the first in a series of hikes that Big Sprout will take, this year, in preparation for his first 14,000 foot climb. Similar to the door jam in a house, this rock marks the growth of our children. The lizards, chipmunks and rabbits still evoke excitement, but the discussion then moves to the importance of the ecosystem. They no longer hesitate when playing around the bottom of the rock, they climb higher and higher every year. 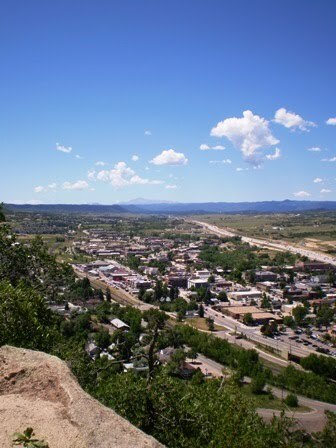 Castle Rock is important to us. It is the grounding spot that gives the kids comfort. We may float from one living arrangement to another every summer, but Castle Rock remains. It is the tangible reminder that summer in Colorado has started. It also marks the passing of yet another year. The seemingly immovable rocks of Colorado change only minimally from year to year, but the bodies that climb them are grown and different. I love that we can mark their growth this way. 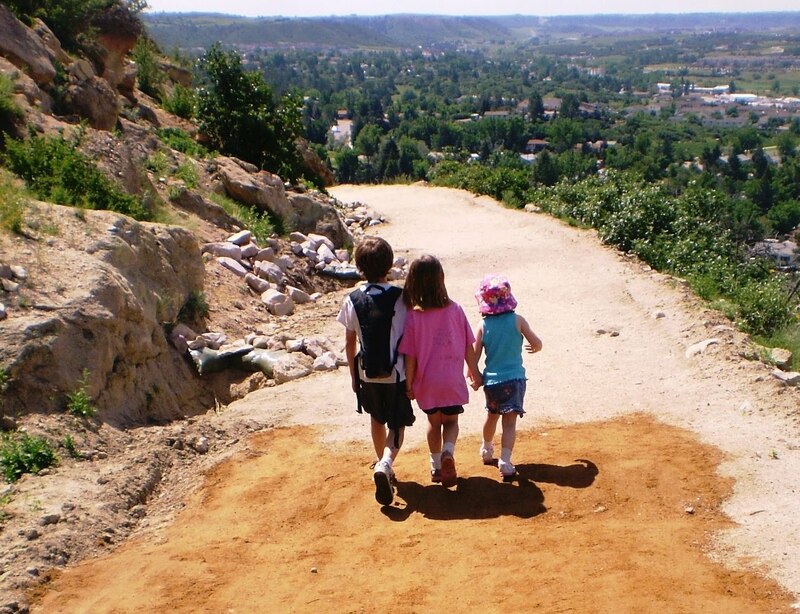 As you can see in the two photos below, the path is similar, but the kids are moving. 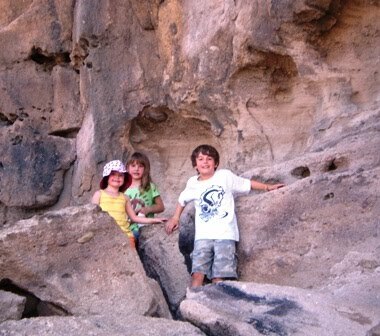 It is appropriate that the first photo, the 2009 descent, has the kids in the closer foreground. In the 2010 version, they had made it quite a ways down the path before I was able to get out my camera to capture it. They are moving quicker, and I just have to remain on solid ground as I watch them go. 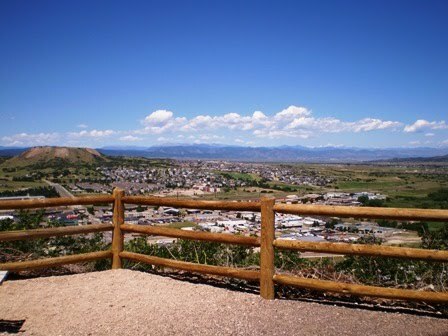 I know we won’t be able to do the Castle Rock hikes as a group forever, so I’ll enjoy them while they last. It’s the growth I must mark in myself, with each passing year. ← What the Blog? You Want a Weinie?